Made this card for one of my returning Copic markers buyers. It is a clean and simple (CAS) card. First, I draw a frame on a white card base using pencil. Then, the hippopotamus image is stamped onto the card base with its legs a bit off the frame line. The hippopotamus is then colored using Copic markers. As for the sentiment, I wanted a punny and funny sentiment. 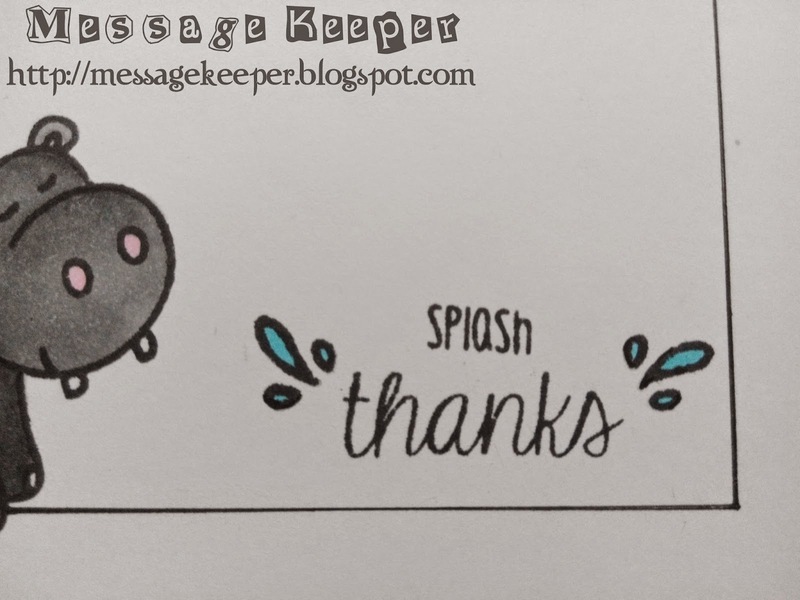 Thus, I made up 'Splash Thanks'. Then, the splash of water is stamped on the left and right of the sentiment to give some realistic of water splashing looks. Finally, a permanent lines are drawn for the frame. Sarah Platt from Sazzle Dazzle recommended me to enter this card to the below challenge. Thanks! What a fun card, a great image, beautifully coloured and a super design! Love your Hippo ! I have also become your latest blog follower ! the hippo is adorable!!!!!!! 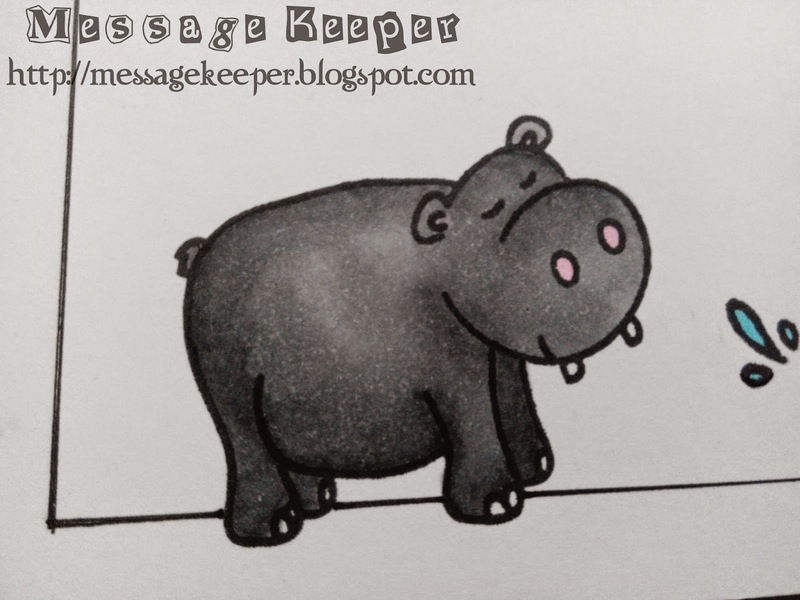 my daughter loves hippos, i could totally give her a card like this! thanks for sharing!